County Cork is situated in the South West of Ireland it is the largest of all the Irish counties and in many ways one of the most varied Rich farmlands and river valleys contrast with the wild sandstone hills of the west, and above all there is the magnificent coastline scooped and fretted by the Atlantic into great bays and secret coves, strewn with rocky headlands and long soft golden sands. 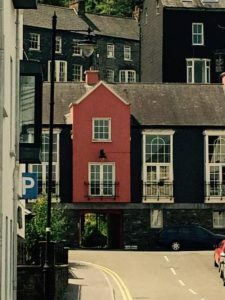 The Carleton Village site offers a range of facilities, with an outdoor heated swimming pool, tennis courts and children’s playground, and is less than 45 minutes’ drive from Cork city. Each contemporary villa has an open plan living/dining room with TV, DVD player and hi-fi system. There is modern fitted kitchen with a washing machine, dishwasher, oven, hob and microwave. The 2-bedroom villa has a shower, and the 3-bedroom villa has a bath and shower. All have a patio with picnic area and a garden. The resort of Youghal has a number of diverse restaurants, with the centre of town just 4 minutes’ drive away. Cruises up the Blackwater River and beautiful beaches are just some of this popular town’s attractions. The kitchen is fitted with a dishwasher and there is a shared bathroom. Towels and bed linen are available in this self-catering accommodation. 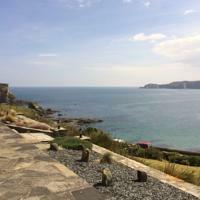 Other facilities at Sandycove Self Catering include a terrace. 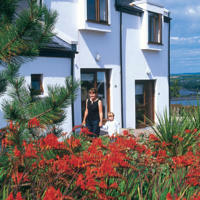 Clonakilty is 26 km from Sandycove Self Catering, while Bantry is 26 km away. 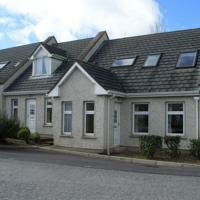 The nearest airport is Cork Airport, 61 km from Sandycove Self Catering. A separate seating area with TV is provided in each Hilltop apartment, with a dishwasher, washing machine and a microwave also included. An en suite bathroom is available in the master bedroom. Cafés, pubs and brightly painted shops line the main street of Youghal’s town centre, and guests can explore the town’s history by walking along the heritage trail which starts in the market place. Youghal Golf Club is a 5-minute drive away and offers a challenging and scenic 18-hole course. Take a tour of Blarney Castle, Ireland — part of the World’s Greatest Attractions series. Amidst the blue Irish skies and green lands of Blarney, lies the Blarney Castle, an intriguing medieval fortification. Set against the refreshing greens of the gardens dotted with colorful flowers and trees you will find it hard to resist the charm the fort exudes. Built in the 15th century, this stronghold is the third of the same structure to be built on the site. The MacCarthy dynasty, is credited with building this enchanting and spell binding castle. One of the features that make this place really popular is the well-known Blarney Stone, also known as ‘The Stone of Eloquence’. According to a legend, anyone who kisses this stone is rewarded with eloquence, an enticing prize for many of the worlds powerful and famous. The Famous Blarney Castle is a medieval stronghold in Blarney, near Cork, Ireland. It is near the River Martin. The castle originally dates from before AD 1200. It was destroyed in 1446, but subsequently rebuilt by Cormac MacCarthy, the King of Munster. It is currently a partial ruin with some accessible rooms and the battlements. There are many legends as to the origin of the stone, but some say that it was the Lia Fáil—a magical stone upon which Irish kings were crowned.The Blarney Stone is a block of bluestone built into the battlements of Blarney Castle, Blarney about 8 km from Cork, Ireland. According to legend, kissing the stone endows the kisser with the gift of gab (great eloquence or skill at flattery). 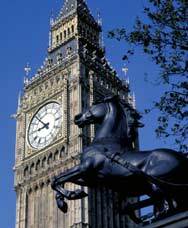 The stone was set into a tower of the castle in 1446. The castle is a popular tourist site in Ireland, attracting visitors from all over the world to kiss the Stone and tour the castle and its gardens. The Stone was the stone that Jacob used as a pillow, and was brought to Ireland by the prophet Jeremiah The Stone was the pillow used by St. Columba of Iona on his deathbed The Stone was the Stone of Ezel, which David hid behind on Jonathan’s advice, while fleeing from King Saul, and may have been brought back to Ireland during the Crusades. The Stone was the rock that Moses struck with his staff to produce water for the Israelites, during their flight from Egypt in Ireland, the Stone was known as the Lia Fáil or “Stone of Destiny”, part of the king’s throne, with mysterious powers The stone’s powers were revealed to the McCarthys by a witch who had been saved from drowning. Surrounding the castle are beautiful and quite extensive gardens. There are paths touring the grounds with signs pointing out the various attractions such as several natural rock formations which have been given fanciful names, such as Druid’s Circle, Witch’s Cave and the Wishing Steps. Blarney House, a Scottish baronial-style mansion, was built on the grounds in 1874. It is also open to the public. Take A Break Holidays takeabreakholidays,County Cork San Francisco De Asis, Urb Marina, San Fulgencio, 03177, Alicante, Spain.